. One thing here… do not be afraid of the fish sauce! On it’s own it can be really intimidating. I am not going to lie, it’s stinky but it really does add an umami favor that is worth it. In case you are wondering what that means: Umami = pleasant savory taste. Of course you want that. Just do it. Just use the stinky fish sauce. 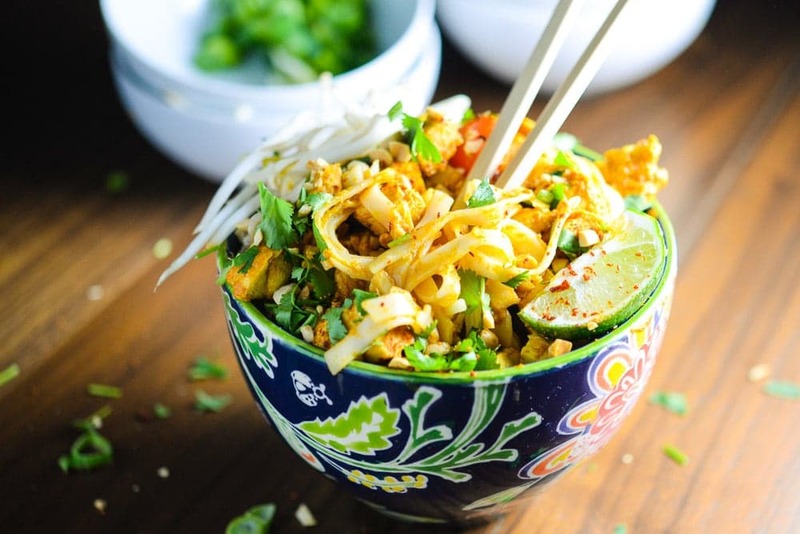 Yellow Curry Noodle Bowls. You can make these with any meat that you choose (or with tofu).